horror-comedy LIVE-EVIL, starring Vladimir Kulich (TV’s Vikings), Charlene Amoia (How I Met Your Mother) and horror icon Tony Todd (Candyman, #FromJennifer). ‘’Ghostbusters meets Dawn of the Dead caught in the Twilight Zone’’ (Nerdly) in writer-director Ari Kirschenbaum’s “unique, visually entertaining” (We Live Entertainment) horror romp, out now on VOD from Simian Tales. When a small college town police station is besieged by "Evil" on a sleepy Halloween night, Pete, the sheriff, and Hancock, his loyal deputy, are thrown into the middle of holy chess-game that could destroy the town, and possibly the world. 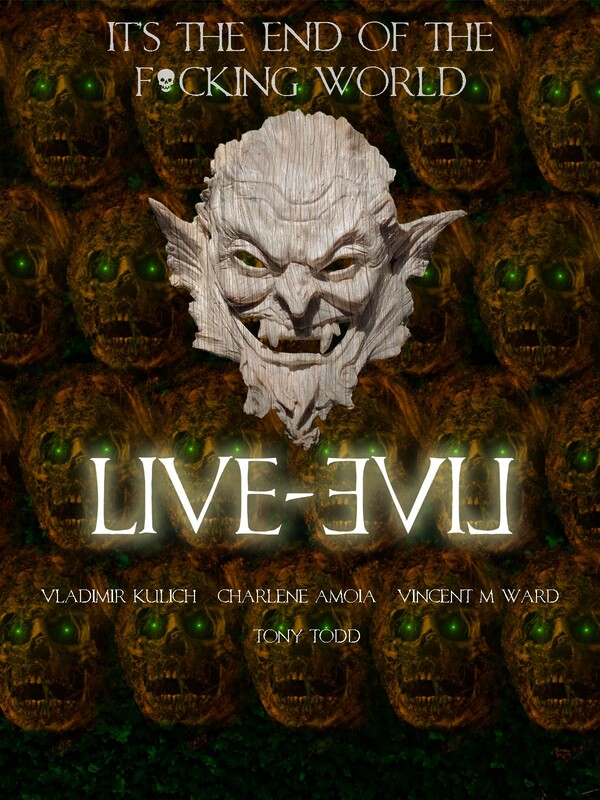 Below you can check out the official poster and trailer to LIVE-EVIL.